HÀ NỘI – The transition from Việt Nam’s decades-old household residency book system to a new online national database will not take place until 2020, according to the Ministry of Public Security. Lieutenant General Trần Văn Vệ, Acting Director of the General Police Department under the MPS, made the clarification yesterday morning in a press conference held to provide details regarding the transition in the country’s residents management system. 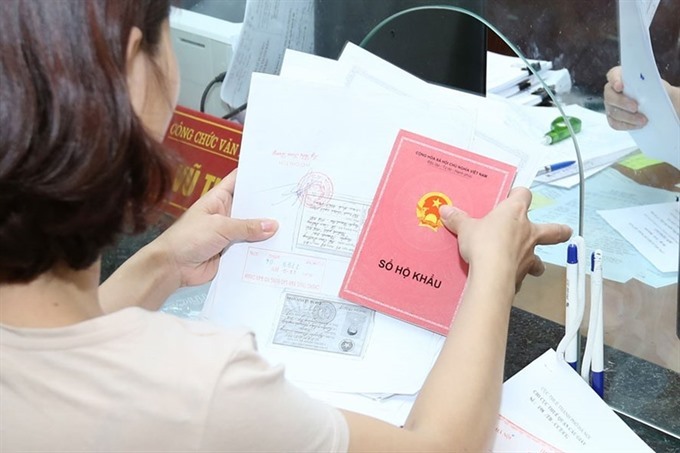 According to a resolution on the simplification of administrative procedures signed by Prime Minister Nguyễn Xuân Phúc earlier this month, the Government is seeking to retire Việt Nam’s household residence books, or hộ khẩu, and national identification cards, or chứng minh nhân dân. Instead, locals will each be given a unique 12-digit personal identification number (mã số định danh cá nhân) containing personal information such as gender, full name, date and place of birth, current address and other facts. The government and citizens will be able to access such information through an online database that can be reached and updated nationwide easily instead of through physical documents, as under the status quo. “Abandoning the actual, physical residence book doesn’t mean we’re going to abandon citizen management. No countries in the world abandon such things. It only means that we’re switching the old, backwards and outdated method to a more modern and hi-tech method by digitalising all information,” Vệ said. He added that a national citizen database was launched in 2012. The public security ministry this November will organize training for police officers at the grassroots level to implement the switch, while forms will be delivered to each household for the collection of personal information. The information again will be checked and verified by local police before being updated and added to the online database system. The system will then be completed in two to three years, Vệ said. When completed, the system will help streamline many administrative procedures for citizens, such as procedures to change persons listed in a residency book, obtain a new book when moving houses or void permanent residency. Established in the 1960s, the hộ khẩu system was used to control citizen’s migration and access to social welfare. The system was applied to aid the government in rationing resources such as food and utilities back when Việt Nam still had a state-controlled planned economy. After Đổi Mới (Renewal) began in the 1980s, the country opened up its market; however, the hộ khẩu remains a required document in a wide array of civic activities such as school admissions, job applications, marriage registration and death certification. The system has been blamed for causing inequality among people from different regions. Regarding the identity documents, Vệ said that when a person receives a unique 12-digit personal identification number by 2020, his or her old national identification card will still be valid for use, if it has not expired.